Running Lights is a large-scale kinetic sound sculpture, activated by the environmental forces of wind and waves. 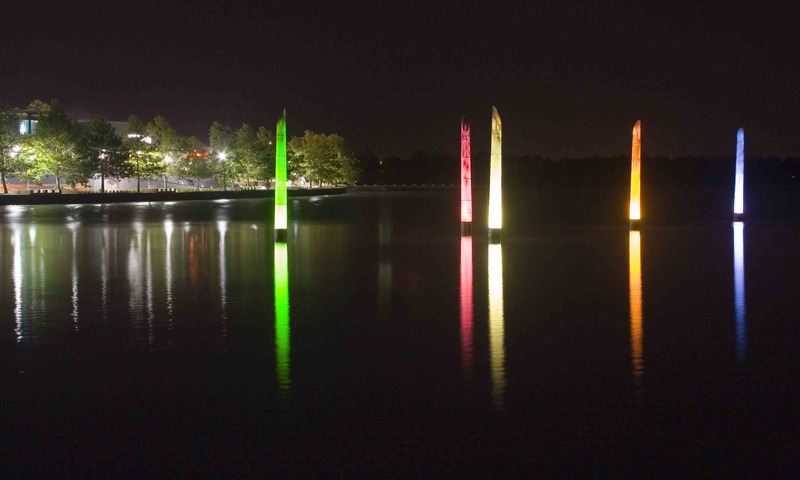 The sculpture consists of five coloured and illuminated perforated steel forms, each 5.5 metres high. The forms contain a ‘tubular bell’, with the combined group of five creating a tuned sequence. The artwork was commissioned by Arts ACT.